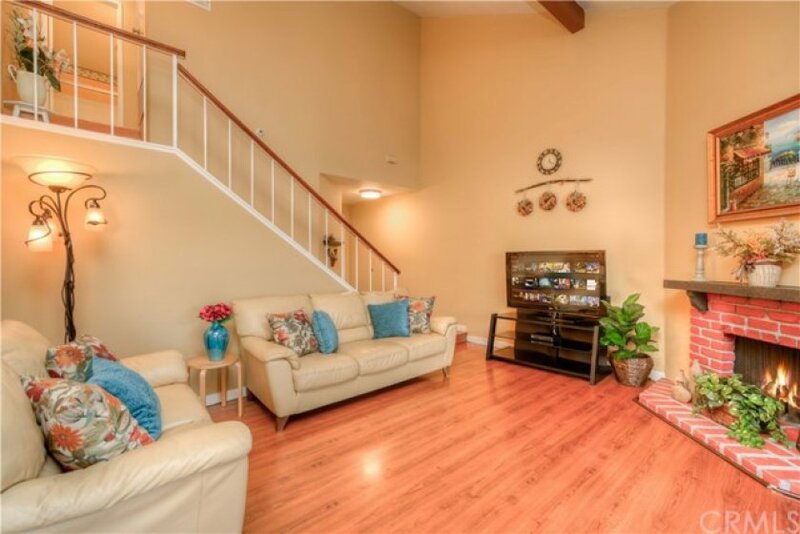 RARELY ON THE MARKET- This beautiful, two-story townhome is a hidden gem located on a private street in the highly coveted "Western Meadows" Community with guest parking near the border of Cypress. 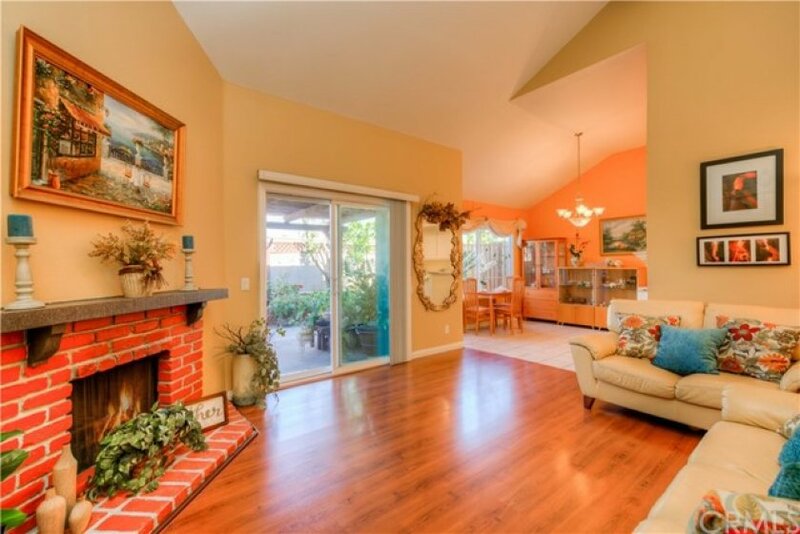 This home has a bright & open floor plan with vaulted ceilings and a breathtaking patio view of a variety of plants. The lush patio area provides a relaxing atmosphere to anyone who enjoys gardening or sitting outside sipping on your drink of choice. 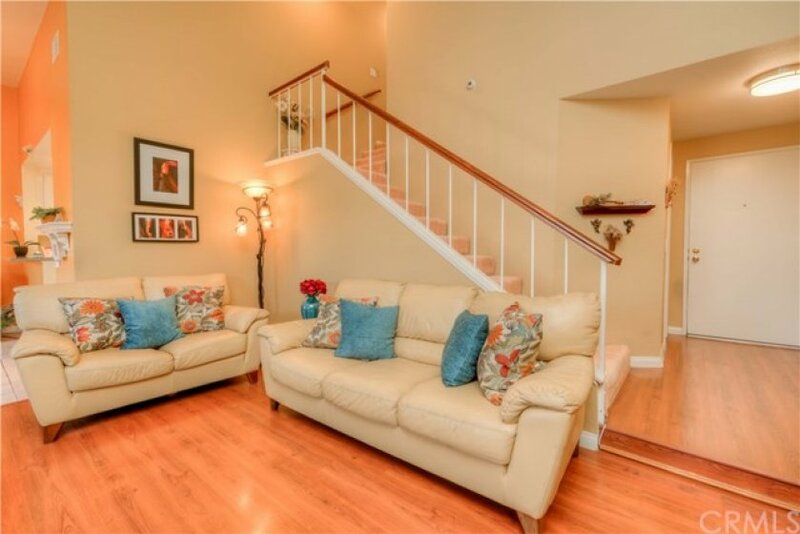 This home has 2 spacious bedrooms and 1.5 bathrooms and a two car garage with direct access into the kitchen. 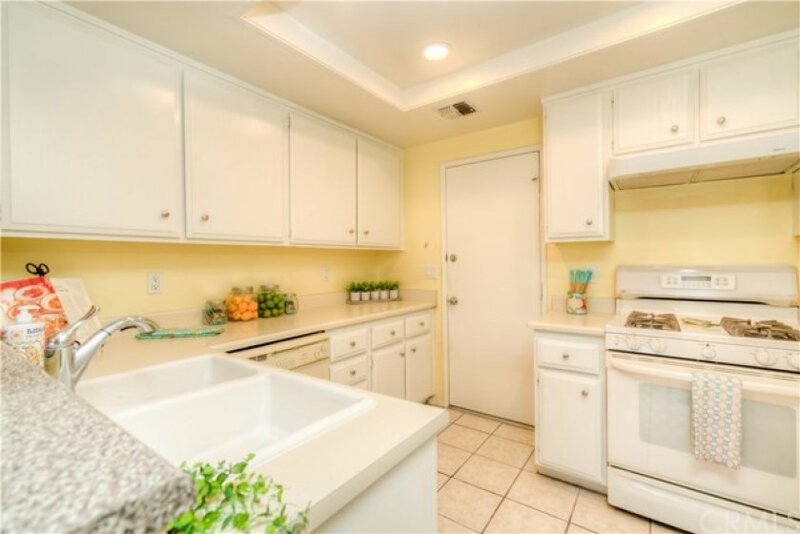 The cheerful kitchen has plenty of newly painted, white cabinets, and an updated breakfast bar. The large kitchen garden window and dual pane living room slider provides natural sunlight throughout the entire downstairs living area. 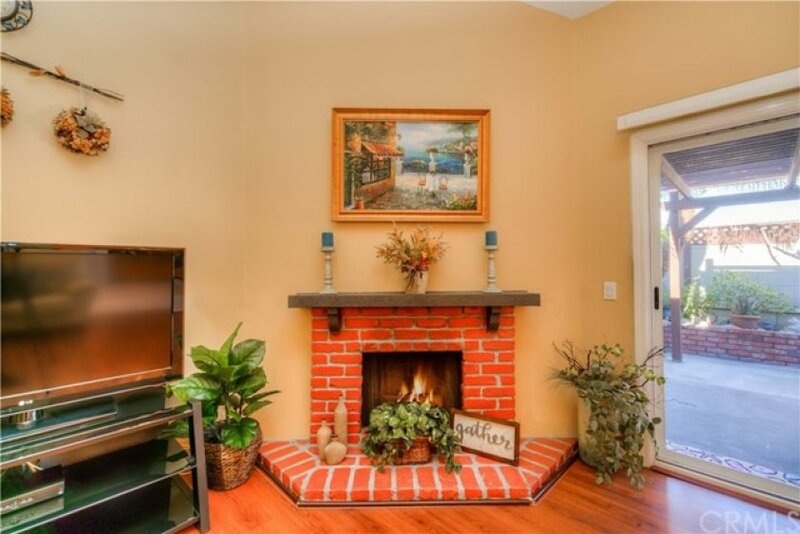 The spacious living room has exposed beams and a brick fireplace with a decorative mantel that flows into the dining room and the kitchen. The master suite has an extra-long closet and a small adjoining room with an additional vanity and private sitting area. In other models, this area has been turned into an office/nursery. 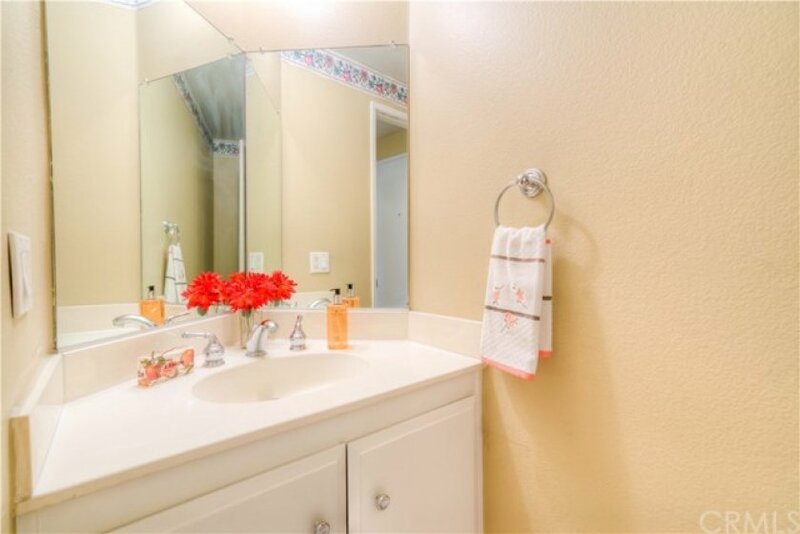 Attached to the small adjoining area is a full bath with beautiful white countertops & a linen closet. 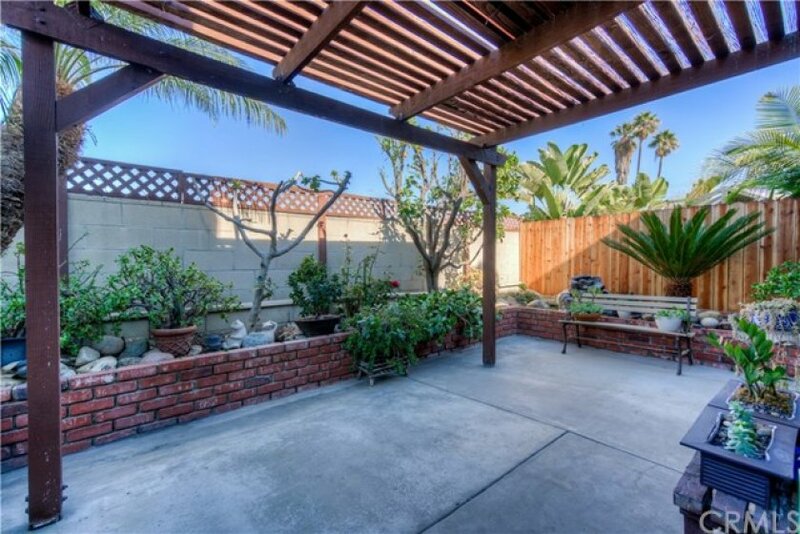 This home also has central air conditioning, a new water heater, a half bathroom downstairs, updated dual pane windows, laminate and tile flooring downstairs, laundry hook-ups in the garage, a community pool, and a cozy spa. This is a great opportunity to own your own home!